Justin Tuck, the defensive lineman for the New York Giants, got sick of getting jerked around by the facemask last year, so he had the helmet maker Schutt fashion ... that, which practically assures he won't get facemasked in the coming year. 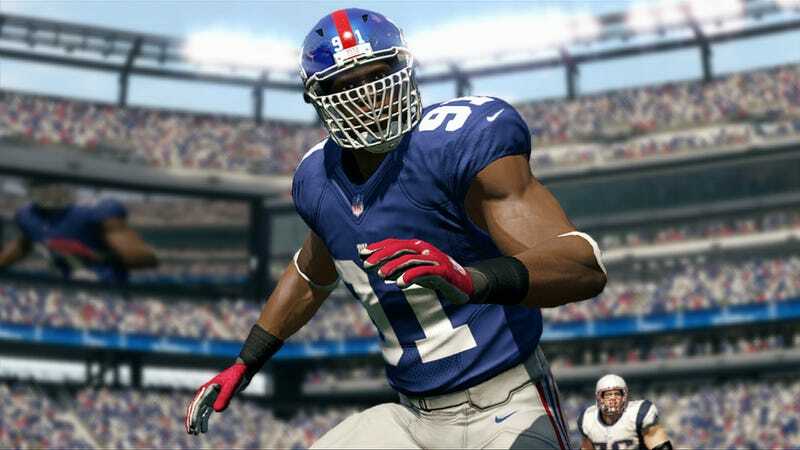 Madden NFL 13 released a screenshot today showing that, yep, it's in the game. Most facemask penalties in the NFL involve grasping the cage of a ballcarrier or a quarterback, so it's safe to say virtual Justin Tuck was already facemask-proof. Still cool to see him rocking a grill that looks like Baraka from Mortal Kombat.